UPSSSC Lucknow Recruitment 2019 Uttar Pradesh Subordinate Services Selection Commission,Lucknow UPSSSC Lucknow has published a job notification for UPSSSC Lucknow recruitment 2019 for 115 Junior Assistant total 115 posts. candidates can apply online download notification details here. 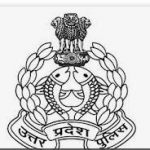 UP Police Recruitment 2019 Uttar Pradesh Police Recruitment UP Police has published a job notification for UP Police recruitment 2019 for 2065 Fireman total 2065 posts. candidates can apply online download notification details here. UPPBPB Recruitment 2019 UP Police UPPBPB has published a job notification for UPPBPB recruitment 2019 for 49568 Constable total 49568 posts. candidates can apply online download notification details here. UPPSC Recruitment 2019 Uttar Pradesh Public Service Commission Service Asstt. Registrar Examination UPPSC has published a job notification for UPPSC recruitment 2019 for 21 Service Asstt. total 21 posts. candidates can apply online download notification details here. BECIL Recruitment 2019 Broadcast Engineering Consultants India Ltd. BECIL has published a job notification for BECIL recruitment 2019 for Skilled & Semi-skilled total posts. candidates can apply online download notification details here. BECIL Recruitment 2019 Broadcast Engineering Consultants India Limited BECIL has published a job notification for BECIL recruitment 2019 for 09 JR.Engineer & Others total 09 posts. candidates can apply online download notification details here. BECIL Recruitment 2019 Broadcast Engineering Consultants India Limited BECIL has published a job notification for BECIL recruitment 2019 for 50 MTS total 50 posts. candidates can apply online download notification details here. AMU Recruitment 2019 Aligarh Muslim University AMU has published a job notification for AMU recruitment 2019 for Guest Teacher Sociology total posts. candidates can apply online download notification details here.